As the instructors finish up lesson plans, students are en route to the Academy. Before we get started, here’s an overview of a few Academy stats and figures. 1 Lodge. We’re lucky enough to be at the lodge that pioneered Bristol Bay sportfishing – Kulik Lodge in Katmai National Park. It’s set on a strip of land between Kulik and Nonvianuk Lakes and is beautiful as they come. We’ll report back on the fishing soon! 3 Items Donated (per student) by Echo Fly Rods. 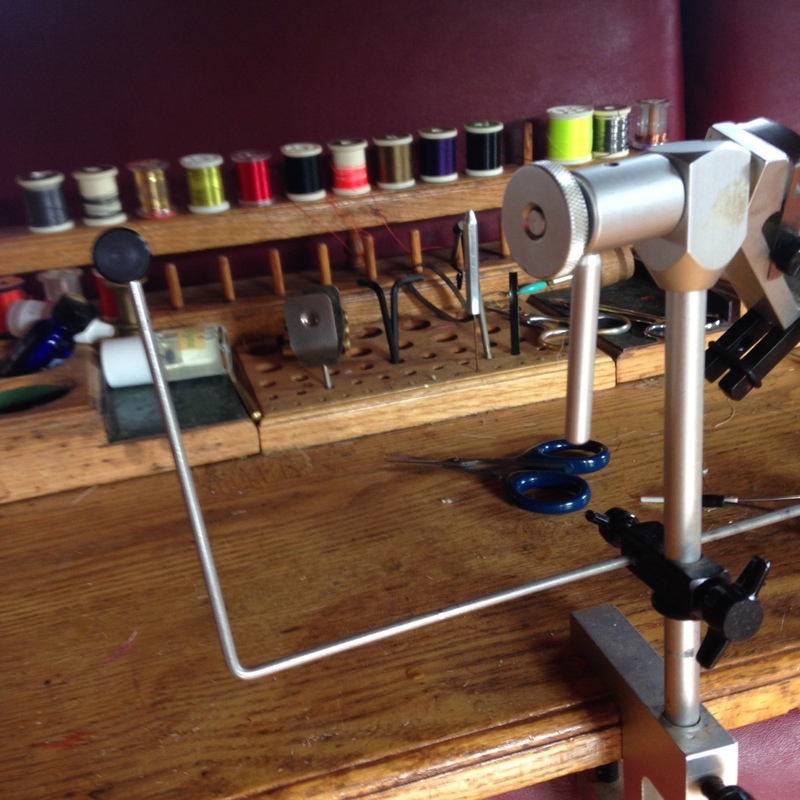 First-time students will all learn to operate a new rod, reel, and line, and take them home at the end of the week! 4 Advanced Students. These dedicated students are back for their second year, and ready to complete the final steps leading to employment in the lodge industry. 5 fish species. Students will be looking to hook into (and safely release!) rainbows, lake trout, grayling, dolly varden and northern pike. 6 Plane Trips. Katmai Air is picking up students and instructors from around Bristol Bay, which requires six separa te trips, and three planes! 7 years. The Bristol Bay River & Guide Academy is now in its seventh season. During that time, we’ve had 66 graduates! 8 Instructors. Our instruction and support team comes from broad backgrounds and organizations including Trout Unlimited, Bristol Bay Heritage Land Trust, Alaska Sportsman’s Bear Trail Lodge, Alaska Fly Fishers, Alaska Trophy Fishing Safaris, Alaska Department of Fish & Game and the Conservation Fund. 9 Employed Students. Nine of our prior Academy graduates have gone on to work in sport fishing lodges in Bristol Bay. We hope to grow this number in 2015! 10 flies. By the end of the week, students are expected to prepare 10 hand-tied flies for their clients to use on Client Day. Plus any they want to fish with before then! 12 Wonderful Supporters and Sponsors. Academy help in 2015 came from: Echo Fly Rods, Orvis, Bristol Bay Economic Development Corporation, The Southcentral Alaska Chapter of Trout Unlimited, Alaska Fly Fishers, Bristol Bay Native Corporation, Trout Unlimited, Bureau of Land Management, Mossy’s Fly Shop, University of Alaska Fairbanks – Bristol Bay Campus, Bristol Bay Heritage Land Trust and the individual donations from a number of generous individuals and families. Thank you all for making this program possible for our 11 students! Stay tuned on this blog and our facebook page throughout the week for updates from the students!